A busy 2014 ended on a very high note for Apple Inc., as the company posted the highest market value ever recorded by any company. In the year's fourth quarter, Apple's revenue grew to $74.6 billion, 30 percent more than at the end of 2013, with net income rising 38 percent. All those figures were well above the forecasts of both market analysts and the company itself, which placed revenue between $52 billion and $55 billion. 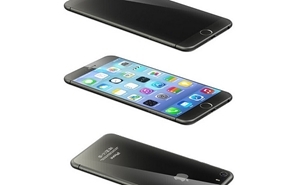 The growth has come in large part on the strength of record-breaking iPhone 6 sales. During the last three months of 2014, Apple sold 74.5 million iPhones, compared to 51 million in the same period the previous year, when the iPhone 5 was released. In a conference call, CEO Tim Cook said that the rate of users switching from Android to iPhone is now higher than ever. On Tuesday, the day the results were published, Apple's shares closed at $109.14, making it the world's most valuable company with a market capitalization of $651 billion, and there are more high-profile launches planned for the near future. Cook confirmed that the Apple Watch will begin shipping in April. Apple's first wearable device will be a companion to the iPhone, with the ability to track fitness information and allow the use of Apple Pay. As the iPhone increasingly cements its place as the smartphone of choice, Apple support specialists can help businesses take full advantage of the device's enterprise capabilities, which will continue to be a major point of emphasis for the company in 2015.